Started really well, with some amazing danceable tracks but it went down quickly, never really sounding bad, just a uninteresting. Not a highlight in 2019 but it's a good album. 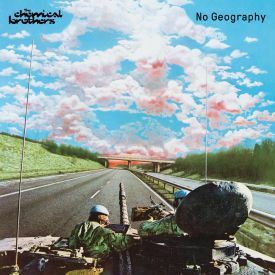 "No Geography" is definitely one of The Chemical Brothers' best albums in a while! The flow from track to track is fantastic, the synths are great and the production is just fun to listen (and dance) to! Overall, this is a great return to form for one of the pioneers of the big beat scene! "No Geography" reminds us that dancefloor smash hits still alive. The album starts with a solid mix, my favourite of the 3 being No Geography. From there on, they try out a variety of electronic styles which keep you engaged in the album and waiting to see what they have in store next. My personal highlight of the album is the 3 track period from We've Got to Try to MAH that I can't help but dance to. I think that largely this sound just doesn't appeal to me. It's dance-heavy and well produced but is by no means something I would sit around and listen to in my free time. There were a few tracks that felt a little more substantial and enjoyable, but nothing really blew me away overall. No geography is an intent to keep on with a particular style in a wrong time, a powerful message of unity with an appropriate spark of irony (No geography with cover art of a war tank and a smiling sky). 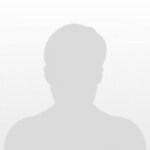 where is the lack of geography in the unity of people as the lyrics of the homonym song? Or in the consequences of capitalism?. I don't know. i love this genre and style of bass heavy electronica, but so many of these songs are hit or miss. In true fashion, the first track, Eve of Destruction is an incredibly start, but quickly, The Chemical Brothers lose track of their sound and produce some annoyingly monotonous dance tracks. The best Chemical album in this decade, they come with that surprise factor that they have lost. This thing sounds really explosive and hypnotic, even the song transitions are just like if you are in a concert or a festival, I love the first half. Top album, one of their best in a long time. The first few songs were really good. It fell off tho. At least it didn’t get boring and it was a fun listen. While this is still a far cry from where this duo began years ago, and isn’t nearly as groundbreaking, The Chemical Brothers sound like they’re having fun. It’s filled with strong grooves, influences in Disco and Electro Funk, and great production. There sadly still is a lot of the same obnoxious ventures that made me lose interest in these guys to begin with, but this is a very safe Electronic album with a handful of great tunes. Now, I'm not particularly a fan of rave music, but I have listened to and loved The Chemical Brothers in the past. I felt the second half of the album didn't feel so on-theme as the first, or maybe it's the other way around. The first half had a sort of funk feel, whereas the second felt way more electronic and what I would call rave. As good as you could reasonably expect a Chemical Brother’s album to sound in 2019 - this is more consistent than ‘Surrender’ too so I’d only really place it behind the first two albums. So why a 50-64% NR for this? I’m just not a huge fan, I’m a meany with ‘Dig Your Own’ sitting on a 74% and ‘Exit Planet Dust’ stuck on a 72% - this is a solid 10-20% weaker than those two. Sorry. While this album provides many fresh new ideas for the duo, many issues with vocal samples and strangely paced songs leave an empty space where this album should have shone. Definitely catchy and pop filled at points, but overall a bit underwhelming. Don't think I'll revisit more than once or twice. It's not without its low points, mainly the substance-starved "Bango" and the corny "Free Yourself," but this album is otherwise filled with some incredibly well-done, varied dance tracks that seek to be more than just something for passive listening. This album is surprisingly beautiful in places, like the closer "Catch Me I'm Falling" and "The Universe Sent Me." Easily The Brothers' best album since. Further. A Return to Form, in every sense of the phrase. Certainly better than We Are the Night, Push the Button, and Born in the Echoes, possibly as good as Come With Us or Further, obviously not quite to the heights of Surrender, Exit Planet Dust, or Dig Your Own Hole. The album flows seamlessly from start to finish, with the strongest moments, being of the deep cut variety. Best Chems album since the 90's!